Barich Business Group provides business-development and technology-commercialization consulting to small and medium-size businesses in Silicon Valley and across California. Areas of expertise include the commercial power and renewable energy, communications, business incubation and start-up services. Clients include the California Energy Commission, city governments, educational institutions, private industry and entrepreneurs. Project 17 is a Small-Business-Administration funded project to create a regional Advanced Agricultural Technology business cluster that will increase bottom-line profitability for the agricultural industry, create regional jobs and stimulate economic development. 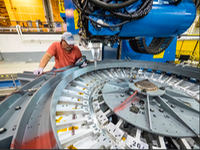 The Big Picture is that the Obama Administration is leveraging different agency and administration funds by identifying regional industry clusters across the nation and directing diverse federal funds into those clusters. We are one of 10 that was chosen from 173 responses nation wide.We have dubbed the project "Project 17" for the 17th Congressional District, which is comprised of the three counties; the 17-Mile Drive, which represents the region's unique and powerful beauty and one of our greatest assets; and Highway 17, which links the region to the technology center of San Jose and Silicon Valley. Project 17 dovetails the technology oozing over the hill from Silicon Valley and out of our many research institutions, like UCSC and the Naval Postgraduate School, with our powerful agricultural presence and tradition and build technology companies that emerge as the advanced agricultural technology center of the world. Growers and shippers, agronomists, horticulturalists, mechanical engineers, water and energy conservations specialists, software developers, RFID specialists, and service providers -- Click here to go to the Project 17 website and find out how you can be a part of this exciting new regional innovation cluster. The Monterey Bay Regional Business Plan Competition was born in May of 2009 when a team of educators, business people and service providers from across the region first got together to design the project, which culminated with presentations to panels of investors at the Monterey Institute of International Studies on May 7, 2010. $10,000 in cash was donated to the effort by the Goodwill, Nextspace Coworking & Innovation, Inc., The Wells Fargo/Wachovia Foundation, Monterey County and regional cities, including Watsonville, Gonazales & Marina. Regional services providers donated $40,000 in services to the winner of the competition, Larrell Surgical. In 2013 Cal State University at Monterey Bay’s School of Business took over the competition. It flourishes today as CSUMB's The Startup Challenge. When the City of Marina on the Monterey Peninsula was looking for a solution for their floundering business incubator, they called on Jim Robbins and Carol Lauffer of Business Cluster Development (BCD) to bring the incubator back into line with the region's original economic development vision in the wake of the closing of Fort Ord. Jim and Carol asked Susan Barich to assist the project by acting as incubator director for the rehabilitation period. In the first 6 months of 2003 the BCD team increased the occupancy rate of the incubator from 22% to 91% and brought the program into compliance with all of its grants, saving the City of Marina $1.5 million. Construction of the physical plant was completed and cubicles were added to accommodate small start-ups. 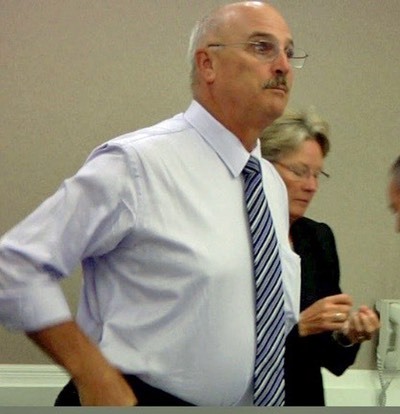 A new strategic plan was devised and implemented for the Cluster in the first quarter of 2005 to position the incubator as the leading business incubation center on the California Central Coast. A technology focus was re-established for the incubator, which now houses three agricultural technology companies, an on-line GIS provider, a Web-based tourism-map provider, two renewable-energy companies, a developer of GPS software for automobile navigation systems, and a provider of emergency-response information in case of terrorist attack. 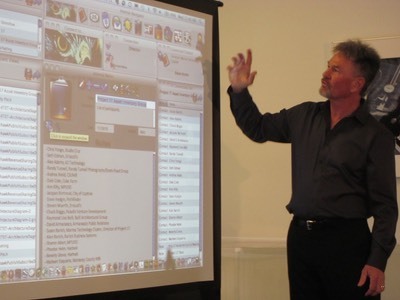 MTC client company MacroNav won Best of Show at the 2008 Consumer Electronics Show in Las Vegas. Wind Harvest International (WHI) brings a breakthrough wind turbine technology to the commercial wind farm market. WHI wind turbines last up to 40+ years in rugged conditions, are inexpensive, able to be mass manufactured in existing facilities and are easy to transport, install and maintain. 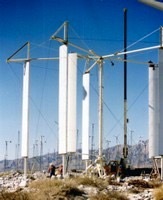 In 2006, BBS was brought in by the California Energy Commission to assist Wind Harvest International to develop and refine their presentation on their Windstar Linear Array Vortex Turbine System (LAVTS) -- the only wind energy technology capable of adding an under-story of turbines and doubling the output of wind farms with near ground-level wind -- to the National Renewable Energy Lab’s (NREL) Venture Forum. Barich Business Group continues to work with COO Kevin Wolf on funding and other strategies. WineSecrets provides wine-correction and clarification services to the wine-making industry across the North American Continent. WineSecrets' proprietary Selective Tartrate Removal System (STARS) removes tartrates from wine at a fraction of the time and energy of previous processes. Working with the California Energy Commission and the Environmental Business Cluster, Susan and Alan Barich assisted the company with positioning itself for funding acquisition through strategic planning, preparation of pro-forma financials and development and writing of a business plan. One-Cycle Control, Inc. has developed proprietary technology that reduces energy usage by eliminating the harmonic feedback that interferes with the delivery of electricity on the grid. So less energy has to be generated to deliver more. More work from less energy. 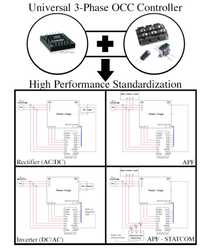 One-Cycle's product can act as an AC/DC converter, a DC/AC Grid-tied inverter or as an active power filter (APF) to cancel harmonics and correct power factor energy loss. Performance is impressive, delivering high efficiencies, unity power factor and low total harmonic distortion. BBS is devising market-entry strategy and developing a business plan for the company with CEO Greg Smedley and technology developer Keyue Smedley to position the company for commercization of their products. This project is executed in conjunction with the California Energy Commission and the Environmental Business Cluster. TWO-PHASE ENGINEERING & RESEARCH, INC.
Two-Phase Engineering & Research is a premier designer of custom, advanced steam separation technology for the geothermal power and gas & oil process industries. 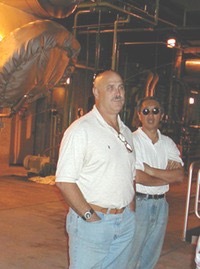 Barich Business Group works with Two-Phase, initially in conjunction with the California Energy Commission and the San Jose Environmental Business Cluster to commercialize Two-Phase’s elegantly simple, yet superior products that lower costs and improve production of geothermal energy sources and process manufacturing. The Silicon Valley World Internet Center, a think tank and neutral, acted as third-party forum for the advancement of Internet technologies and the Internet economy from 1997 to 2010. The giants of the industry gathered at the Center to discuss what the future of business will look and fell like. Barich Business Group assisted the Center with corporate communications; corporate image and branding; collateral sales materials; program outcomes, such as Think-Tank Session Proceedings and Working Group Summaries; client services development and implementation; and with the design and implementation of business processes that fit the Center’s business model. 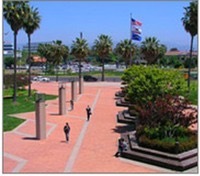 Mission College in Santa Clara, California, is the premier Community College serving Silicon Valley. With technical programs supported by Cisco, Microsoft, Intel, Apple and others, the college strives to produce employees for high-tech companies and to train foreign-born workers in American language and culture. Barich Business Group assisted the community Education division of the college to increase full-time equivalency for the group in order to increase income from the state and promote education outreach to the community. Barich assisted Mission College in securing grants from ED>Net, the California Community College’s Chancellor’s Office Economic Development Network, to develop and sustain the Regional Environmental Business Resource and Assistance Center (REBRAC) and other community education grant programs. Barich also assisted the college in the design of the project and in bringing together the regional governmental, educational and professional resources and teams required to complete the work of the grants. 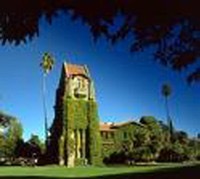 The Silicon Valley Industry Education Advisory Board was established in 1997 to create curricula that would produce Environmental Health and Safety graduates from local public universities and colleges who could prove to be effective new-hires with chemistry and EH&S backgrounds for local industry. 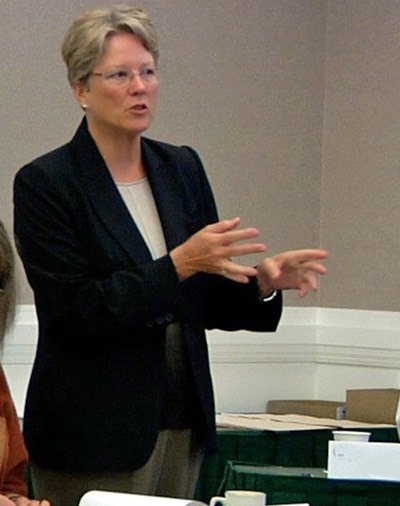 Susan Barich established the organization while the associate director of Joint Venture: Silicon Valley Network’s Environmental Partnership. Barich Business Group continued to advise and work with the group for the three years it took to establish the new curricula at San Jose State University and Mission and other area Community Colleges. The Enterprise Network, or TEN, was on of the original economic development initiatives of Joint Venture: Silicon Valley Network, establish in the early 1990s. TEN’s focus is to help emerging companies, which have the potential to become high-market-share players in their field, to enter and be successful in the marketplace. 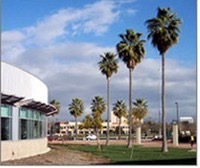 NASA at Ames Research Center in Mountain View, California, operated a business incubator to commercialize NASA technologies. 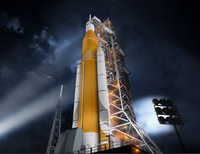 In the mid 1990s, NASA and TEN merged, so that NASA-incubated companies might benefit from the commercialization expertise of the TEN teams. Barich Business Group assisted the TEN/NASA alliance with start-up expertise and established and directed TEN’s outreach activities to the educational sector, known as “The Academic Bridge.” This project brought faculty and students from esteemed universities from all over the country to work with and assist the incubator companies with internships, new hires and academic and research expertise.